"The weather outside is frightful..."
Does anyone besides me feel like hibernating in the winter? I don't feel that way all winter, just on the frigid grey days. I don't even mind that the weather is frigid and grey... as long as I don't have to go out in it. Give me a hot cup of tea, a comfy blanket, a good book and a working furnace and "let it snow, let it snow, let it snow." The set up alone is worth the price of the book. Professor Peter Shandy's idea of holiday decorating is hanging a wreath on the door. That isn't good enough for the powers that be at his college. The annual winter festival is a big fund raiser and he's letting down the side. So he gives in with a vengeance then goes off on a cruise. The result is deadly. Charlotte MacLeod has the distinction of being one of the few mystery authors that I introduced to my mother. 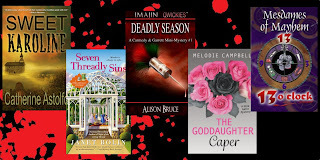 Two of my regrets are that my mother died before I was published and before I could introduced her to a whole gang of mystery authors from Crime Writers of Canada, including a few cozy writers I know she'd enjoy. 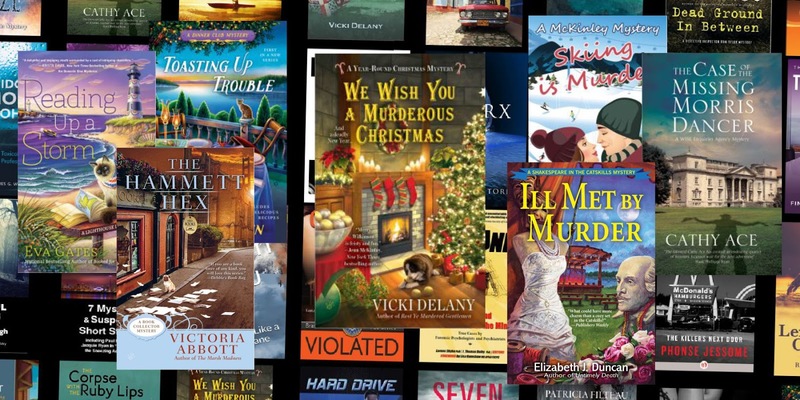 My mother would have got a big kick out of the Threadville Mysteries by my fellow Deadly Dame Janet Bolin. If you have an interest in needle craft, as my mother did, this is a great series. I'm looking forward to Janet's next series that revolves around a donut shop. 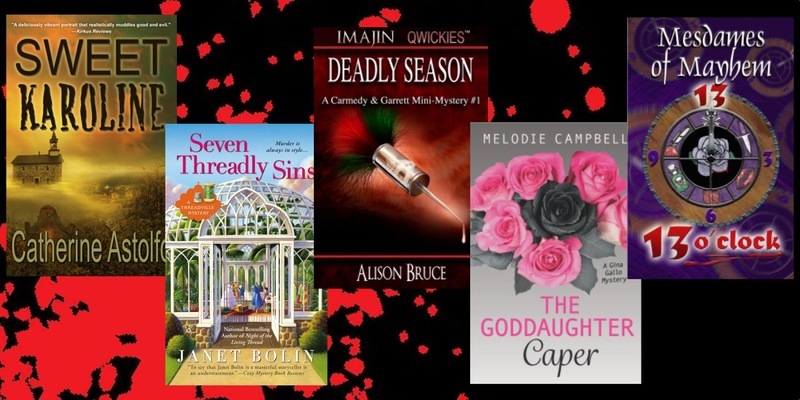 The Deadly Dames have something for everyone from the dark and psychological suspense of Catherine Astolfo to the comic capers of Melodie Campbell, Joan O'Callaghan's awards winning shorts to my award finalist whodunits. Enough. The kettle is calling. Time for tea and a cozy... or coffee and writing. 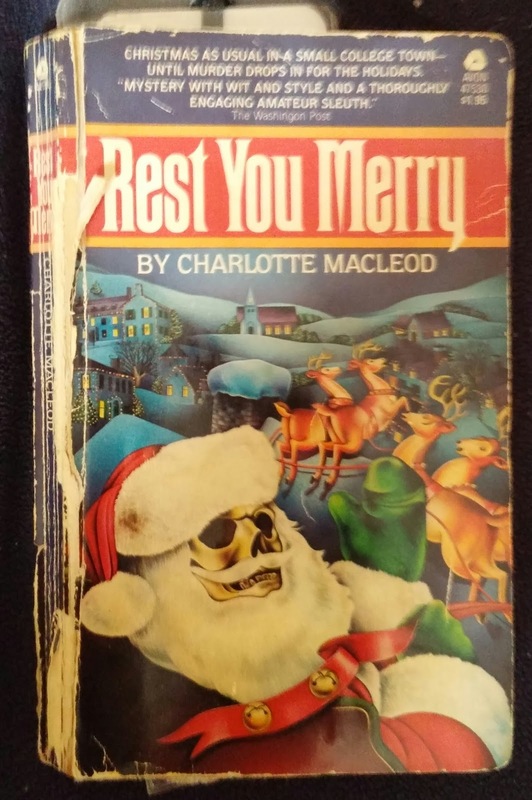 So, what is your favourite Christmas themed book? 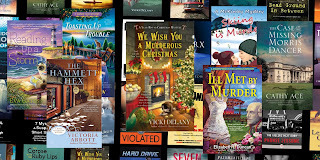 During the holiday season, I like reading MIRACLE AND OTHER STORIES by Connie Willis. 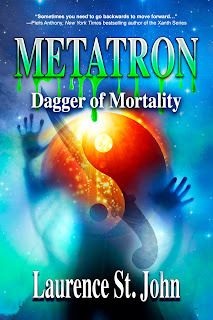 I particularly like the title story, Miracle, and two other stories: Inn and Ephiphany.